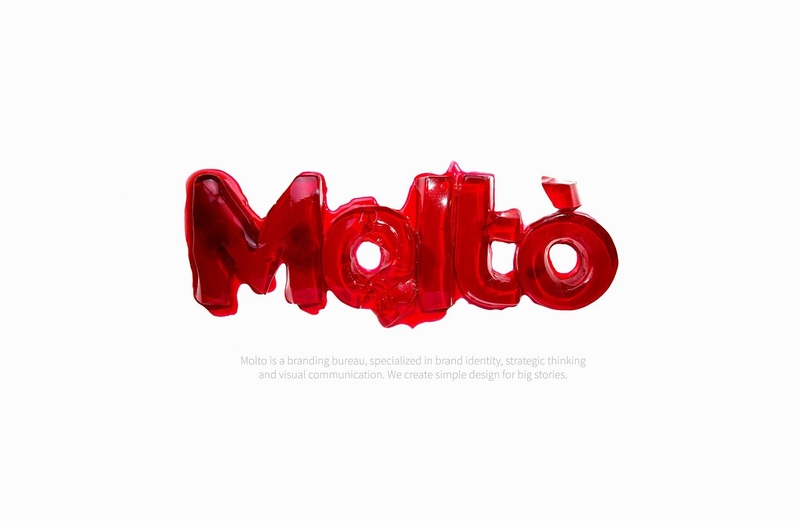 Molto is a brand bureau which became one year old in May 2017. Thinking of anniversary celebration the team was reminiscing about the main attributes of a celebration in childhood. Of course a dessert table couldn’t do without a cake and homemade colored jelly. 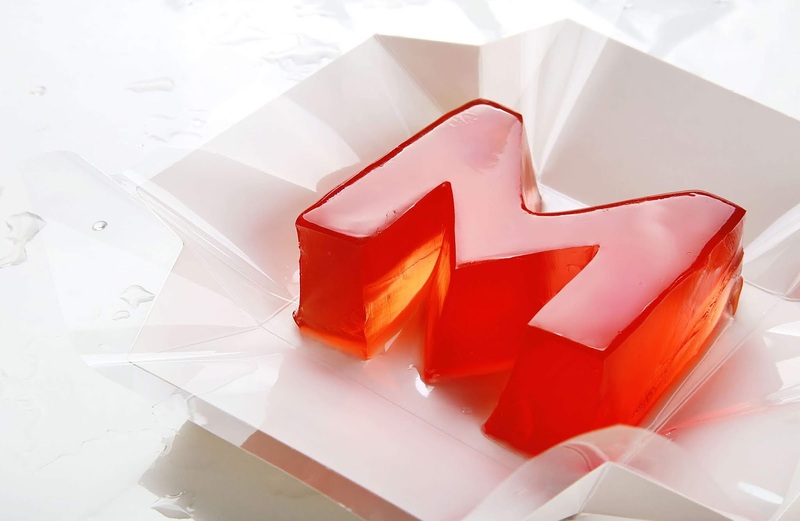 Therefore jelly typography became the uniting element of celebration and communication. 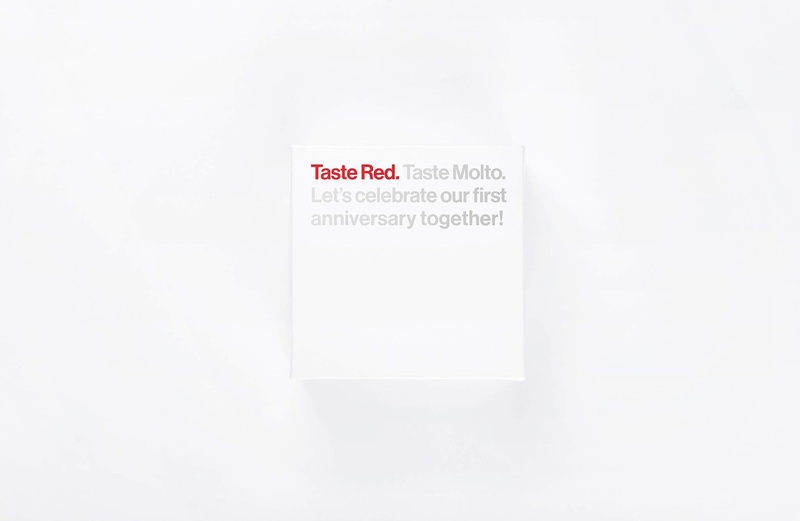 It was supported by the celebration’s motto: “Taste Red, Taste Molto”. 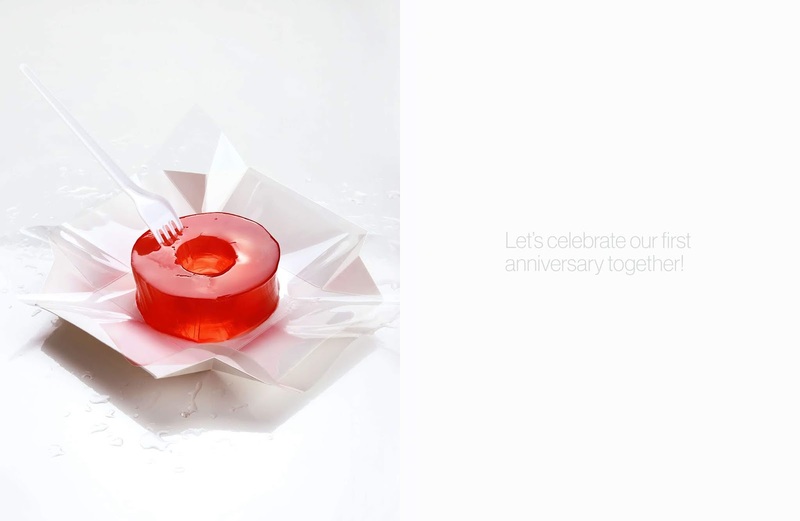 Every customer received a gift box with a jelly letter of our logo together with an invitation to the celebration as gratitude for being an essential part of our first year. All the letters were cut out and wrapped up by hand. Carrying on our experiment, we created a poster and a tear-off calendar with time countdown, in which jelly letters were melting as the celebration day approached. 0 comments : Taste Red. Taste Molto.